The Namib stretches for over 2000 kilometers along the Atlantic coasts of South Africa, Namibia & Angola. 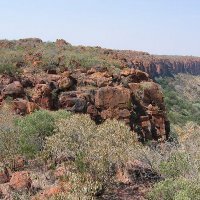 It covers an area of approximately 81000 km². 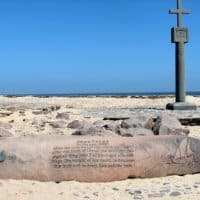 Cape Cross (German: Kreuzkap) is a small headland that is located in the South Atlantic on the Skeleton Coast in Western Namibia. 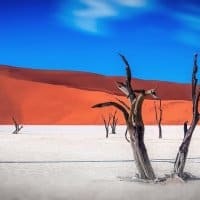 Sossusvlei is the Southern Regions’ most popular tourist attraction and forms part of the Namib Sand Sea World Heritage Site and is located in the Namib Naukluft Park. 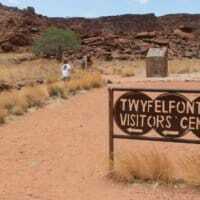 Many tourists visiting Namibia mention that this region is undoubtedly one of the highlights of their self-drive safari! 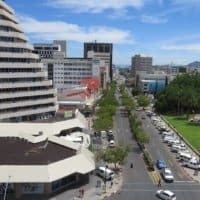 The Northern Region is dominated by the country’s top tourist attraction, namely Etosha National Park. 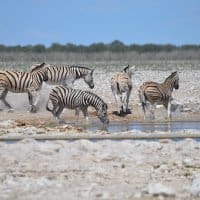 Etosha is the highlight for most travellers visiting Namibia. Etosha is one of the largest game reserves in Africa with a surface area of approximately 23,000 km². 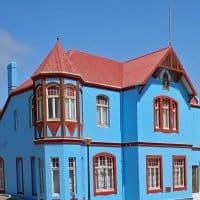 The town of Lüderitz was founded in 1883 and is situated in the south of Namibia and is developed around the harbour on a coastline that is considered by many to be the least hospitable coastline in Africa. It was however first known to Europeans as early as 1487 when Bartolomeu Dias encountered it in his voyages. 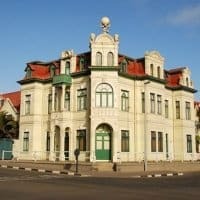 Swakopmund is Namibia’s premier coastal holiday town and is also considered to be the adventure capital of Namibia. 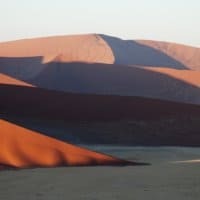 Situated between the ever shifting dunes of the Namib Desert and the cold waters of the Atlantic Ocean this charming little town is definitely worth a visit.